He's Back! 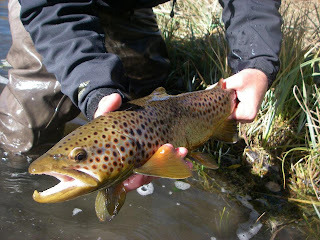 My friend and your experienced fly fishing guide, Kerry Almond. 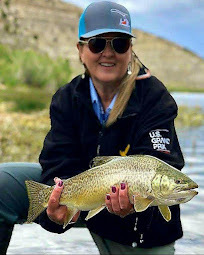 Last year, Kerry was gracious enough to tell us about life and fly fishing in Yellowstone Country. And now I bring him back to answer my question of the last three years, "Does the weather affect how well the fish will be biting"? We've all had those days. The days when the fish have lockjaw and nothing seems to work. Your're throwing the same bugs, same line, same location and getting the same drifts, and still nothing. We all know trout can be moody and selective about what they will eat and some days it drives me crazy. The more I fish, the more convinced I am that these days are not just random disruptions in the universe that we choose to blame, but almost always the result of some sort of external environmental change created by weather patterns. 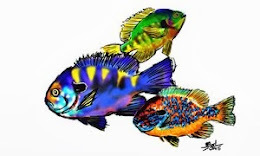 I learned a saying a long time ago, " fish the front of a front and the back of a front". Approaching storm fronts always come with a falling barometric pressure and as the pressure is skidding downwards, the fishing can be outstanding. Once the storm has hit and the barometer stabilizes on the low side, fishing is usually poor until the barometer begins to move above 30.0 and I choose to stay home or at least not expect a real productive day if I do venture out. 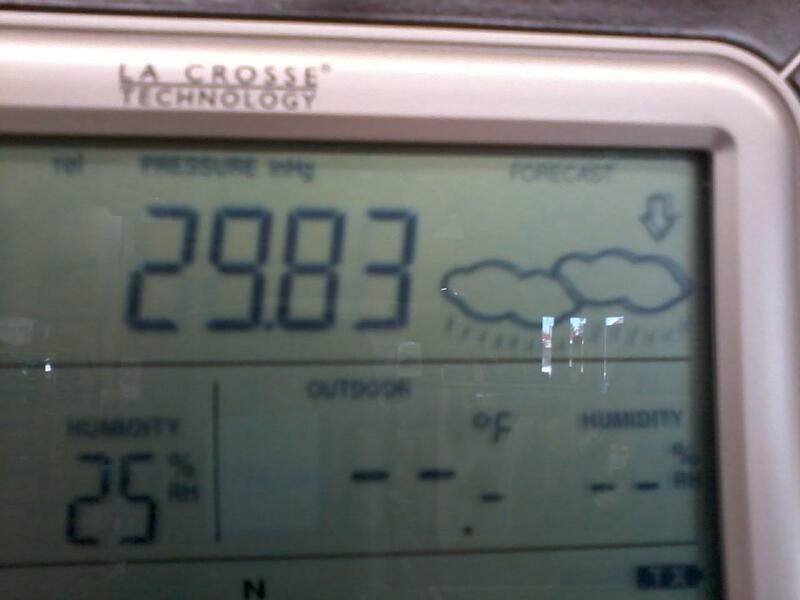 I really dont worry about barometric pressure during long periods of good weather during the summer. When the barometer reading is around 30.2 and above, I find trout eat fairly consistently. 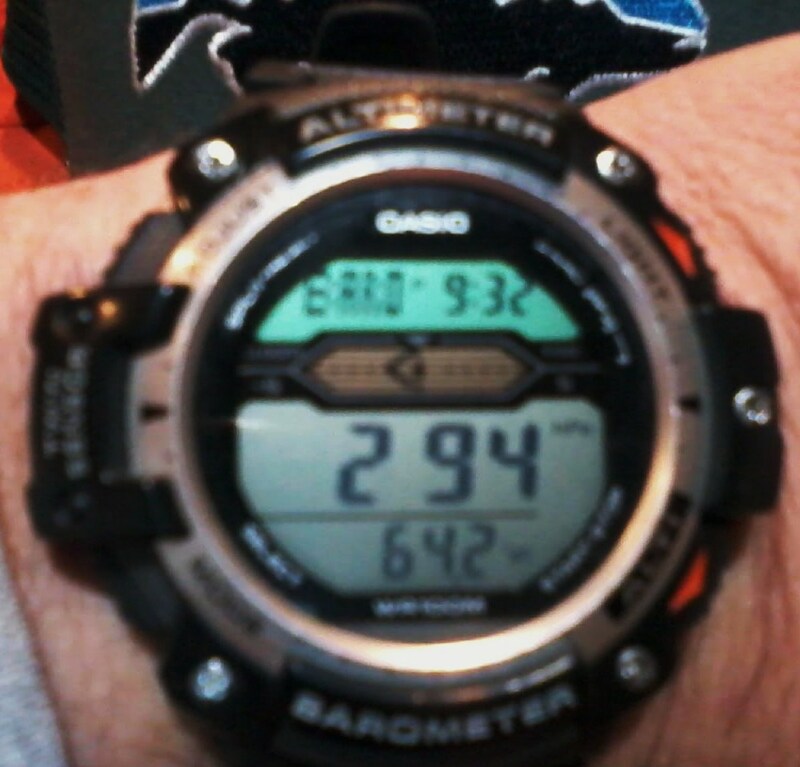 The best tool that I use to track barometric pressure is my wristwatches. I rarely buy a watch that doesn't have a barometer. Most brands will give you the pressure reading as well as weather trends. I use mine daily and have kept pretty good records in my fishing journal to establish trends and develop my own findings. I encourage everyone to get out there, think outside the box, explore new rivers and things that work. I promise, it will be well worth your time and make your time much more enjoyable. 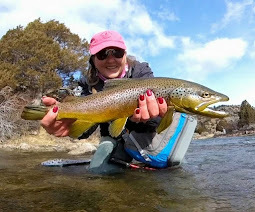 You can find Kerry Almond at Bud Lilly's Fly Shop in West Yellowstone, MT. 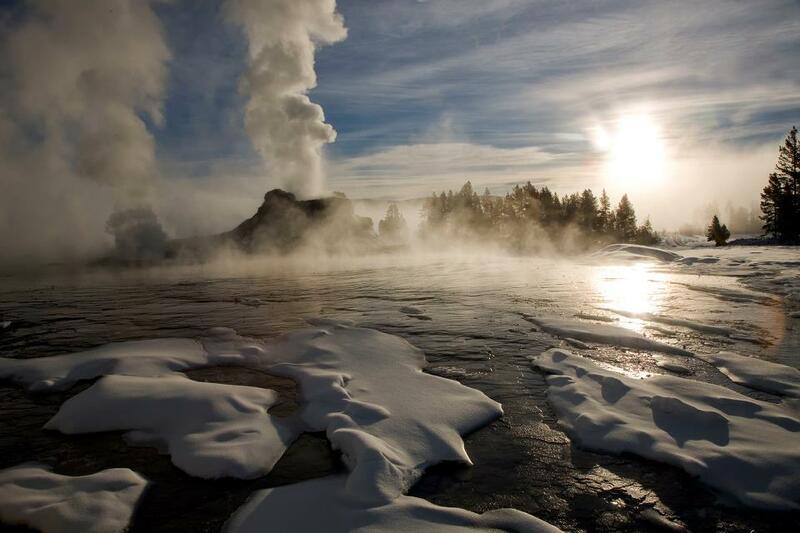 and guiding the waters of some of the most beautiful places on earth... Thanks, Kerry for sharing your thoughts with us today! Yellowstone opens up to fishing the Saturday of Memorial day and fishes all the way to it’s closing the first Sunday in November. I like watches too Kerry. The watch you have on looks like a Casio, which model? Do you recommend any other brands with barometers? Like Tisot T for example? Many times humans can be pulled out of the funk they are experiencing with a beer, a steak dinner, or even, at least in the case of the men.... sheesh, sorry RD... a lap dance. But I, and most other fishermen, haven't been able to figure out how to get fish to un-funk! I don't recommend sharing your beer with the fish. If you take the next swig, after dipping it in the stream to share with a trout, you might as well strap yourself to a toilet for a week. Ugh! Great info Kerry! Thanks for posting this. Some of my best days fishing have been on nasty days. I'm of the opinion that fussy, stubborn fish are probably the female of the species and that it has nothing to do with the barometer. They get their fins in an uproar and yell at the men, "What? You're not going out again:! If I were to watch the barometric pressure I would have to change the name of my blog. It's better this way. thanks everyone for your comments. Sorry getting back so late as I didnt have access to a computer till now. Brian, my watch is a casio illuminator SGM-300M. Keep an eye out for the Timex's that are out, they finally joined the 21st century and we just ordered the new models in for the shop. I've found what Kerry talks about to be pretty accurate. During times of the year when weather is more unstaable (fall through winter), changes in barometric pressure can really impact fishing. Steady low pressure can be the kiss of death, and rising and falling pressure usually equates to fish being on the bite. While most of us simply fish when we can, keeping an eye on barometric pressure can at least give you a heads up of what to expect, and to plan accordingly. Back when I lived in upstate NY and did a lot of fishing on the tributaries of Lakes Erie and Ontario, I was a Weather Channel junkie. Following storms, and keeping in tune with changes in barometric pressure, dictated a lot of my fishing. Chad ~ Thanks for that... 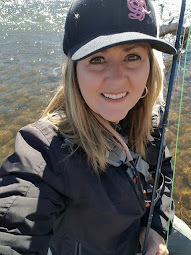 Yes, I believe that my fishing days have been a lot more unstable this winter than during the summer or fall. I'm glad to have found out more on how the pressure affects the trout's behavior. Maybe now, I can make a better judgement on whether to go out or not anyway!! Bill ~ I think having the barometric readings with you is a great idea! At least, keeping one in the car would be very handy. I was never a huge believer in barometric pressure until I turned 40. Now, I can tell you when a front is approaching without ever checking The Weather Channel. It's fer real, y'all.